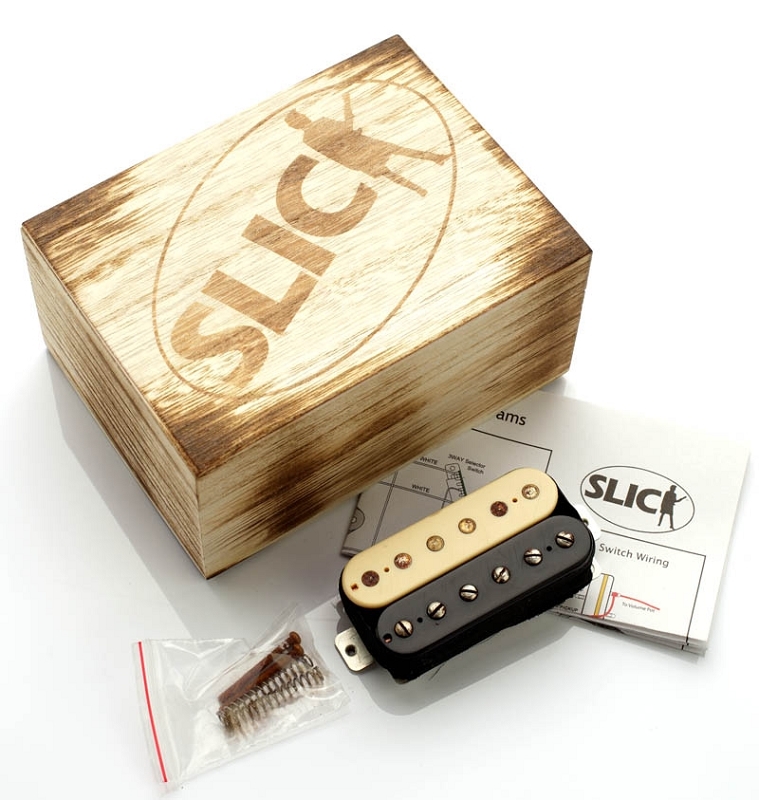 Slick Brand "Rocker" pickups are hand aged humbuckers that recreate the look, feel and sound of vintage pickups...with a LOT MORE of the Slick power and aggressiveness dialed in. These are wound slightly asymmetrical and HOT- 11.6K for the bridge and 8.6k for the neck. 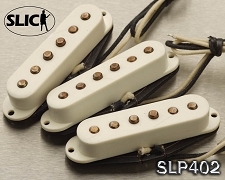 With these you get the late 70's, early 80's BIG rock sound with the sweet round lower midrange of 60s vintage pickups. 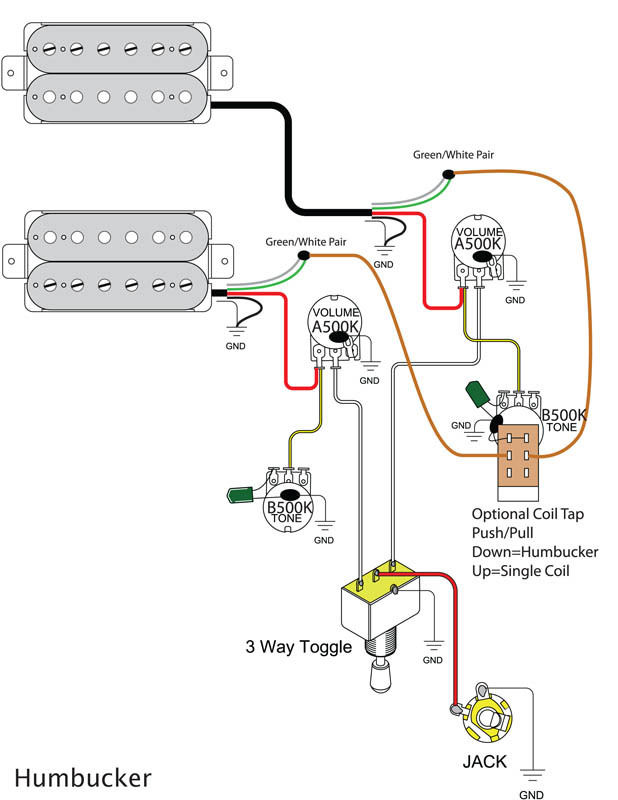 Tube amps are highly recommended for these pickups! We've made these from the right stuff. German Silver baseplates and covers (On covered models), delrin bobins, Heavy Formvar coil wire, 5-wire leads for coil tapping and high quality ALnico V magnets. 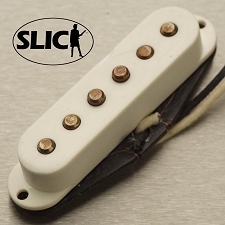 Each Slick pickup is hand aged to recreate exactly the look and vibe of a 60 year old guitar pickup. 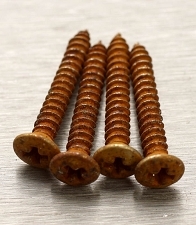 We've also dialed in the little bit of "sag" that an older, slightly demagnetized magnet can give you. 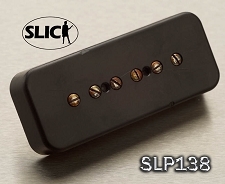 Rockers are a lot louder and have a lot more upper midrange punch than vintage pickups, yet still retain a tremendous amount of clarity and high end slice. 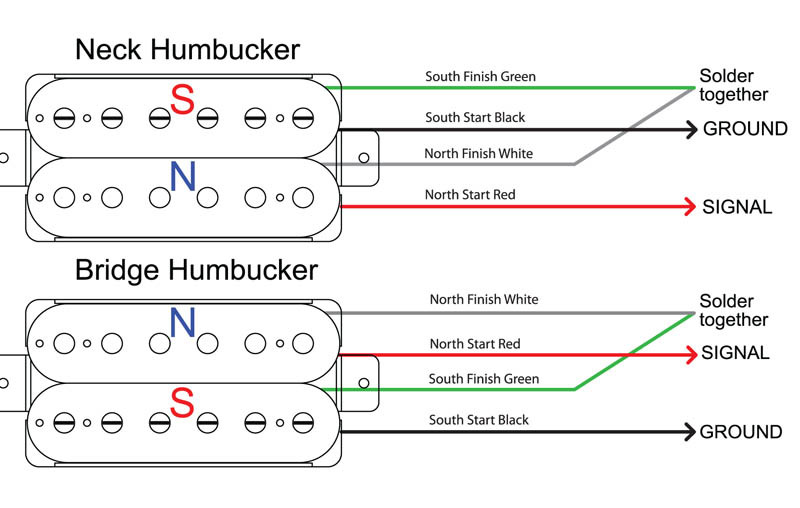 These are the biggest sounding humbuckers pickups in the slick lineup. 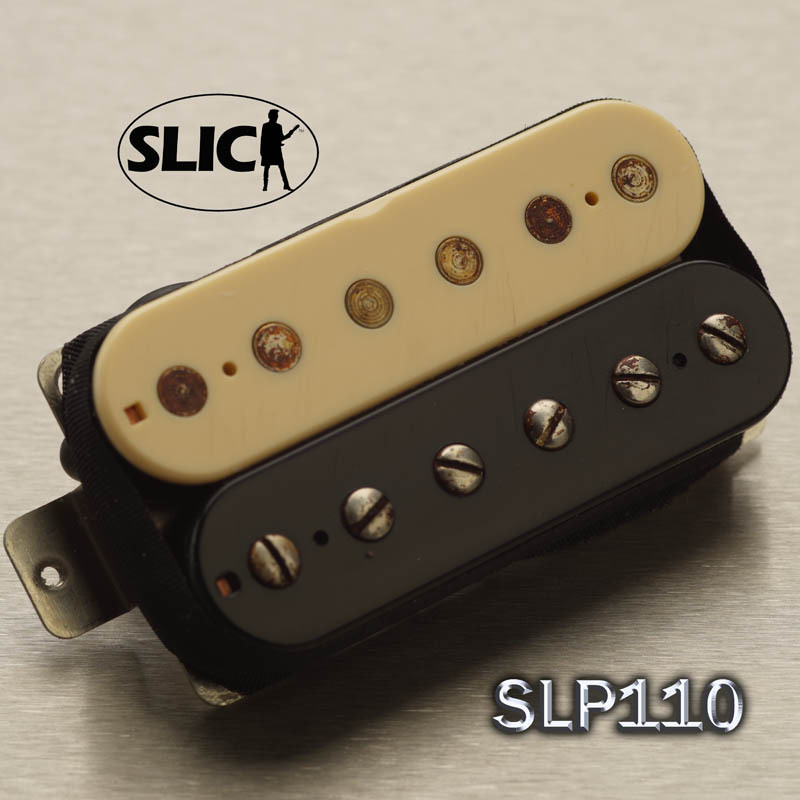 If you want a crisper, cleaner vintage pickup try the Slick "Old School" pickups. 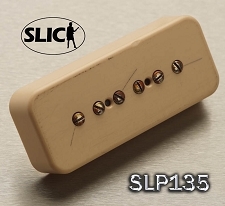 If you want a harder punching 80's metal pickup try the Slick "Lead". 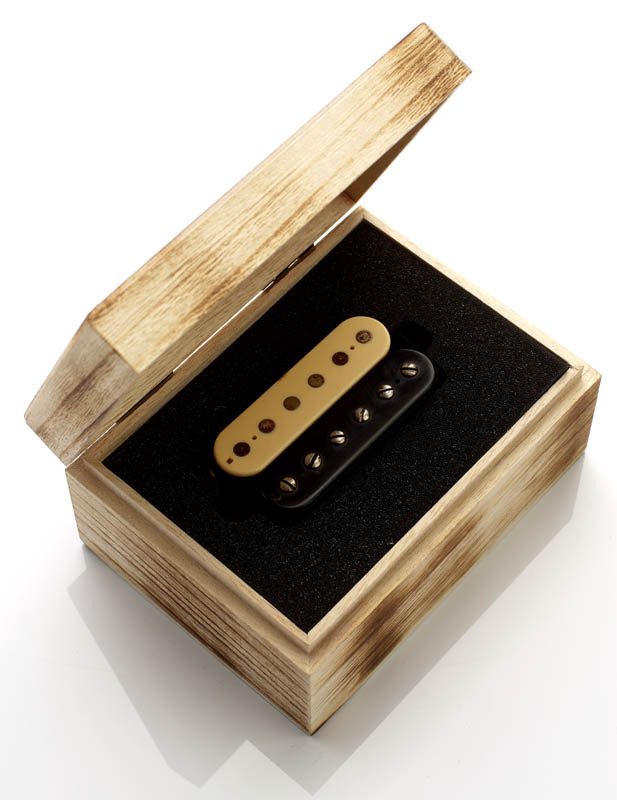 Each Slick humbucker comes with a matching set of hand-aged mounting hardware, illustrated wiring diagram and the whole lot packed into a hand-distressed wooden box! 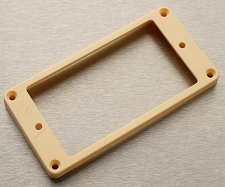 If you need a distressed pickup ring we sell black and cream rings separately.